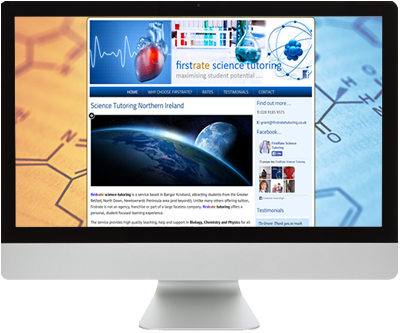 Based in Bangor, Northern Ireland, first rate science tutoring attracts students from all over Greater Belfast. First Rate offer a personal, student focused learning experience to students of the sciences from Key Stage to GCSE and A Level with medical subjects covered beyond degree level. We developed a dynamic and eye-catching website which would not only advertise the business but also provide clients with additional information held securely behind a password protected area.